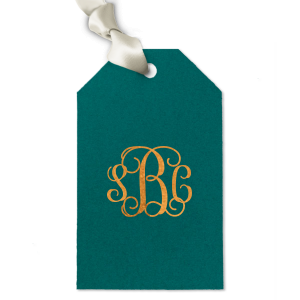 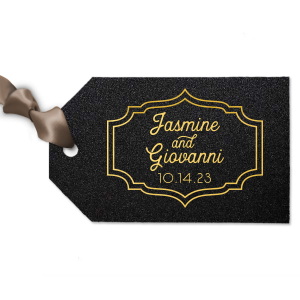 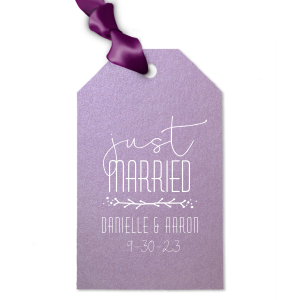 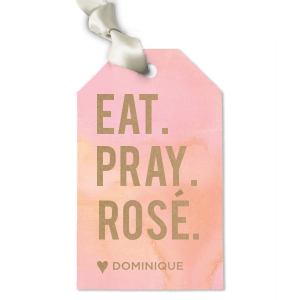 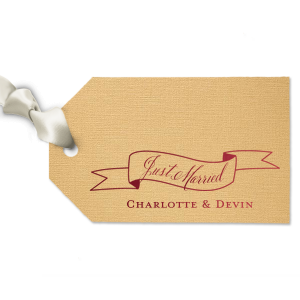 Give your party favors a touch of personalization with custom engagement party luggage gift tags. 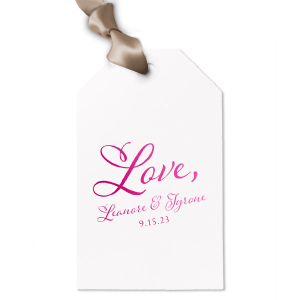 You’ll love the way your personalized engagement party luggage gift tags pull together your party favor table look! 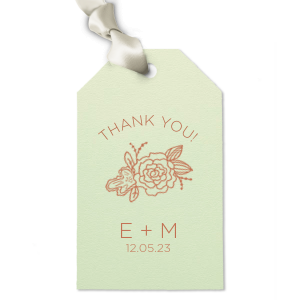 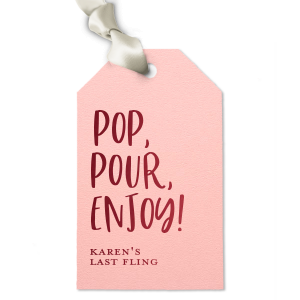 Attach your custom engagement party luggage gift tags to your party favors for a cute way to add a personal message of thanks to your party guests. 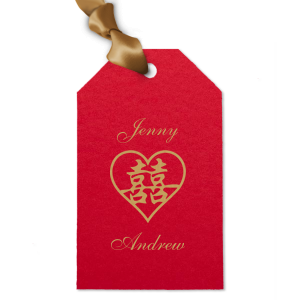 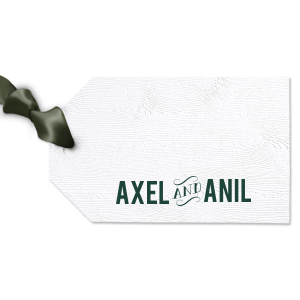 With your personalized engagement party luggage gift tags, your hospitality will extend with your guests as they leave your party. 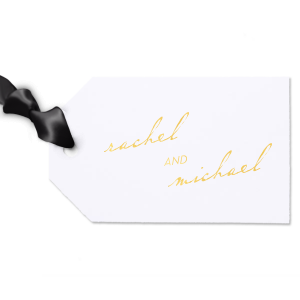 Choose from over 100 paper colors and 50 foil stamping colors to find your perfect color combination to coordinate with your party theme. 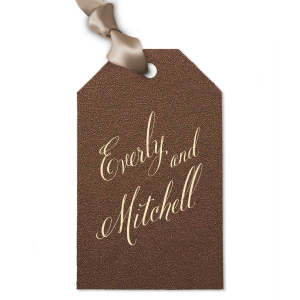 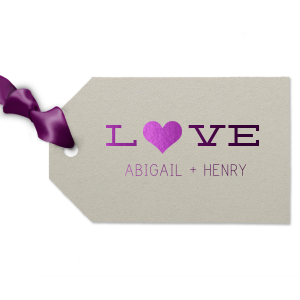 Browse our design idea galleries for inspiration as you create your custom engagement party luggage gift tags. 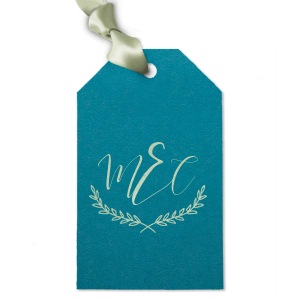 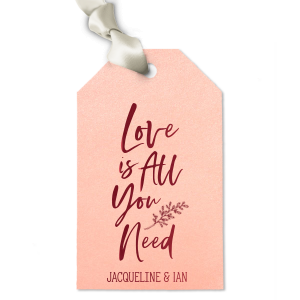 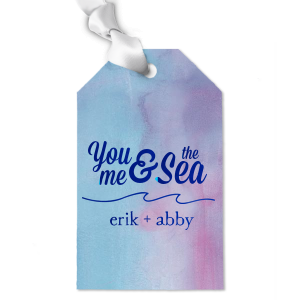 Your guests will love the personalized touch that your customized engagement party luggage gift tags give to your engagement party favors-- design yours today!